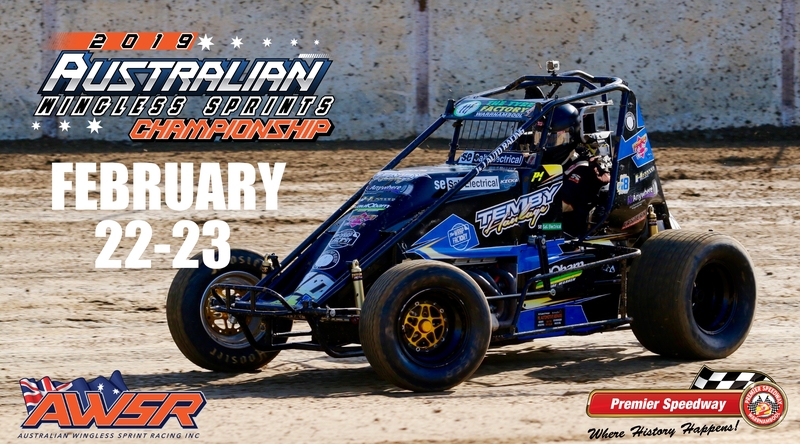 With the Australian Wingless Sprint Championship fast approaching the South Australian based competitors have been busy this past fortnight racing on back to back weekends at the Murray Machining and Sheds, Murray Bridge Speedway. Both events were well supported with the first of the shows doubling as Round 3 of the SA State Series, while last Saturday night was a local Track Round. But despite the competition being some of the toughest seen this season one driver dominated both A-Main’s, with Joel Chadwick tuning up his Australian Title defence in style winning both nights keeping his unbeaten 2018/19 Murray Bridge season record intact. Joel Chadwick continued on his winning way at the Murray Machining and Sheds Murray Bridge Speedway last Saturday night as he won his third consecutive A-Main of the Murray Bridge season. The opening round of the SA Wingless Sprint Series attracted a stout field of 25 drivers from across the state and Victoria, but despite the field being one of the strongest ever seen at Murray Bridge the increased competition still wasn’t enough to upset the National Champion. After sitting out the opening two shows of the season Joel Chadwick drove to victory in the 25 lap A-Main, but he had to work extremely hard to get the better of Joel Heinrich and Matthew Kennedy. 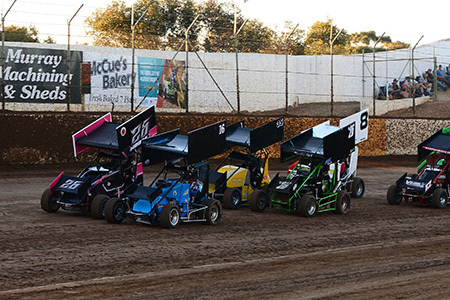 The latest Wingless Sprint SA race meeting saw the V6 powered class travel to the Timmis Speedway at Mildura to be the main support category at the 3rd Annual Col Beasley Sprintcar Classic. The event was a special occasion for the class with both Brad and Travis Beasley competing, but it was another local Mildura racer, Jason Bolitho who celebrated with the feature victory winning an entertaining finale in front of a healthy opening night crowd. After the opening two Wingless Sprint SA main events of the new season Matthew Kennedy has remained undefeated as he easily claimed the 20-lap finale at the Murray Machining and Sheds Murray Bridge Speedway last Saturday night. After starting from the front row Kennedy paced the field for the entire journey as he defeated Jarman Dalitz, who was driving the Pitcher Racing #55, and Ben Harris, who enjoyed one of his best results in his short Wingless Sprint career. The first of the Sportsman Meetings for the new season was conducted last night (October 20) at the Murray Machining and Sheds Murray Bridge Speedway with some competitive racing from all the classes on the program. With Wingless Sprints, Formula 500’s, Street Stocks, Junior Sedans and Classic Speedway Demonstrations on the program there was plenty of on track action for all dirt track fans. Speedway action continues this Saturday night at the Murray Machining & Sheds Murray Bridge Speedway this weekend (October 20) with the first Sportsman Meeting of the season. The event will feature a wide variety of race cars ranging from the open wheeled Wingless Sprints to the up and coming stars in the Junior Sedans. In addition to the current day race cars the night will also include an opportunity to reminisce as the Classic vehicles of years gone by will take to the 360 metre in a series of Spirited Demonstrations. The opening event on the 2018/19 Murray Machining and Sheds Murray Bridge Speedway calendar (Sunday September 30) saw the Wingless Sprints make their season debut with a competitive field fronting for action with Matthew Kennedy opening his season in style with a convincing win in the 20-lap finale. After qualifying on the pole Kennedy was never headed in the A-Main as he drove to an impressive win over Joel Heinrich and Jake Ashworth. Following the final South Australian Wingless Sprint event of the season, won by William Caruso at the Sunline Speedway at Waikerie, the Australian Wingless Sprints of SA conducted their 2017- 2018 Presentation Evening. The night was well attended with several club members and competitors travelling from as far away as Mildura and the Riverland making for a great way to end what had been a long and successful season. On a very chilly winter evening, the 2017/2018 season of competition at Ausdeck Patios Archerfield Speedway drew to a close on Saturday night (June 2) with a mixed program of sedan and open wheel events that produced some close racing and a couple of huge crashes, the most spectacular of which resulted in a damage to the safety fence and brought about a delay in proceedings. Despite finishing second in their respective feature races, it was Brant Chandler and Aaron Kelly who prevailed in the Wingless Sprint and Lightning Sprint season pointscores, while Jason Walsh, Wayne Kirkman and Nathan Lowe shared the spoils in the Australian Championship finals for Open Sedans and Holden vs Ford vs Sigma Sedans. Murray Bridge racer Anthony Tapley was successful in the last major Wingless Sprint SA event last Saturday night (May 12) as he claimed a dramatic win in the 50 Lap Feature at Mildura’s Timmis Speedway. 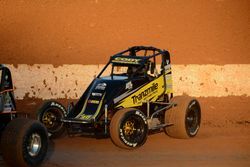 Over the past few weeks the Murray Bridge Speedway rally has been the South Australian home of Wingless Sprint racing with four events in the past month. 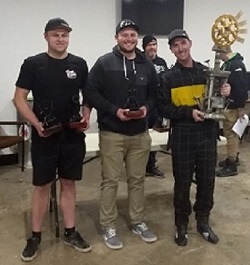 Following the double header over Easter, with the wins being shared between Joel Heinrich and Anthony Tapley, a further two events have been staged with the latest being at the Murray Bridge season finale last Saturday night. The Easter Wingless Sprint Trail throughout Victoria and South Australia returns this weekend with a slightly different schedule than previous years with the Trail beginning at the Timmis Speedway at Mildura on Friday night before finishing up at the Murray Machining and Sheds Murray Bridge Speedway on Saturday and Sunday night. Action will resume this Saturday night (March 24) at the Murray Machining and Sheds Murray Bridge Speedway with an all sections club show featuring strong fields of both Wingless Sprints and Street Stocks along with Super Sedans, Formula 500’s and AMCA Nationals. For the Wingless Sprint, Formula 500’s and Super Sedan competitors this weekend will provide the last chance to tune their machines prior to a big Easter Weekend that will see all three categories featured, in addition to Speedcars, on Easter Saturday and Sunday Night’s. Following the running of the 2018 South Australian Championship at the Timmis Speedway at Mildura, won by Joel Chadwick a couple of weeks ago, the Wingless Sprints return to the Murray Machining and Sheds Murray Bridge Speedway this Saturday night (March 24) as they headline the all section program. Sunday March 11, 2018 Bates checks into the Victory Hotel! It was a case of never too late for Jason Bates as he won his first feature race of the 2017-18 season at Valvoline Raceway on Saturday night.